All around Hood County, there are so many wonderful organizations that exist to better our community and create opportunities for the individuals living in it. This can’t be done by just one, it takes a team of hard-workers and a lot of Faith. Forward Training Center is fortunate to be able to work closely with other non-profit organizations, both locally and nationwide. One of these is Mission Granbury. Most folks know Mission Granbury’s work through their local local shelter, but this organization truly does so much more in the community. 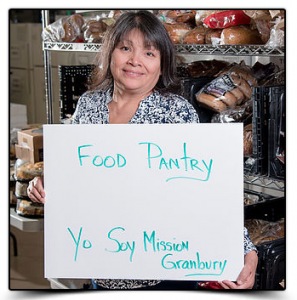 Mission Granbury helps individuals with the starting point in rebuilding their lives. Whether they are fighting domestic violence, homelessness, disabilities, PTSD, and more, they help with giving these individuals opportunities and a safe place. Often, they help their clients start on the right path to turn their lives around or get out of a bad situation. That’s when Forward Training Center comes into play. Katy Offutt, Forward Training Center Executive Director and Founder, tends to model the organization after the saying, “Give a man a fish, you feed a man for a day. Teach a man a fish, you feed him for a lifetime.” Thus, the free education and training classes at Forward Training Center were developed to end the cycle. 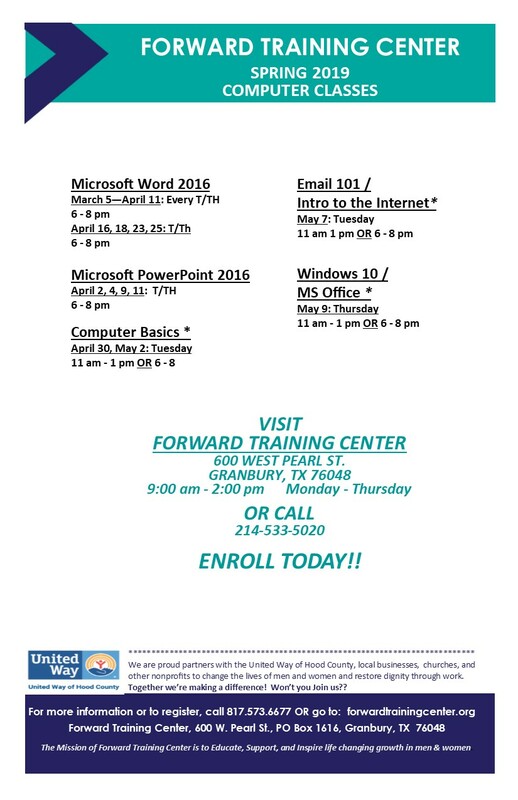 As clients at Mission Granbury look to grow and improve their lives, programs like Forward Training Center assist in teaching those skills and instilling confidence to keep moving forward towards positive change. At Mission Granbury, clients find a safe place and help. Then, at Forward Training Center, they can find the programs to begin to re-build again. What could be even better about these local organizations? Well, for any individual who qualifies, they are completely free. Donors and volunteers are vital to keep these non-profits in our community, and they are so needed. Think about donating your time or spread the word today!